THC Design goes “In The Kitchen” with Chick ‘N’ Skin for a unique and delicious food pairing that left us planning our next trip to the 626 Night Market. We got the chance to spend the day with Edward Chen and his lovely wife making their famous Nacho Bowl and Cone while smoking on our signature XJ-13 and Hybrid Pre-Rolls. 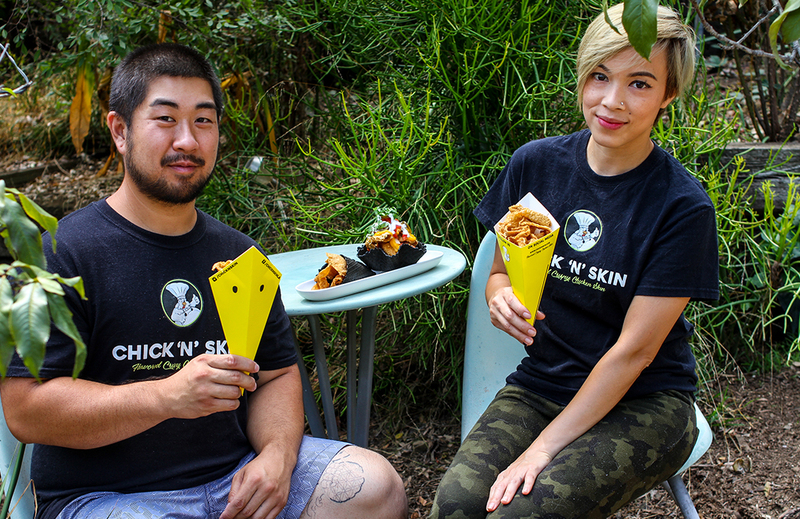 From the stress of running a successful startup to dealing with injuries from the past, Edward enjoys the recreational aspect of cannabis and likes to think it enhances their customers experience when pairing his Chick ‘N’ Skins with good cannabis. You can find them on Instagram, @ChickNSkin, and Facebook, @ChickNSkinLA.